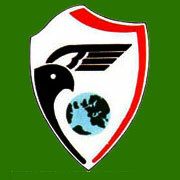 Formed 1 Jan 1939 in Berlin-Werder. Formed Jan 1939 in Berlin-Werder from Fliegerstaffel zbV. On 27 Jan 1943 redesignated 1.(F)/Aufkl.Gr.100. On 27 Jan 1943 redesignated 2.(F)/Aufkl.Gr.100. 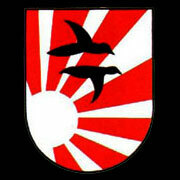 Formed 24 Sep 1939 in Juterbog-Damm from 8.(F)/LG2. On 27 Jan 1943 redesignated 3.(F)/Aufkl.Gr.100. Formed 24 Oct 1939 in Prenzlau from 2.(F)/Aufkl.Gr.121. Known as Staffel z.b.V. between Apr 1940 and Jan 1941. In Jan 1943 redesignated 1./Versuchsverband ObdL. * operated aircraft all over Europe in the strategic recon. role, from Brest to Baku. Formed Oct 1939 in Berlin. The Versailles Treaty permitted the German Reichsmarine, beside others, to train ships' crews in anti-aircraft gunnery and use. The necessary target-towing was done by aircraft from the SEVERA GmbH company and later, by Luftdienst GmbH of Berlin. I was a member of the aircraft crews provided for this purpose and served from April 1926 until 1933 flying from the air stations at Norderney, Kiel-Holtenau? and Pillau. The Intelligence Department of the RLM was naturally interested in the happenings and fortifications being built in the countries around the German borders. As an old observer and aerial photographer from World War I, it was suggested to me in the 1930s to take oblique pictures from aircraft flying over German territory of the fortifications outside our borders which were appearing in considerable numbers everywhere. After presenting the oblique pictures it was only a small step to vertical photography to discover camouflaged fortifications. To obtain these pictures it was necessary to make these flights at as high an altitude as possible, taking all necessary precautions. Eventually the aircraft used was the specially adapted Junkers W34 which had been built for high-altitude record flights and had achieved an altitude of 6,000 metres without trouble, so guaranteeing unobtrusive observation. This small group of three men, one aircraft and using old aerial photographic and oxygen-breathing equipment from World War I and a small picture development establishment formed the basis of the reconnaissance group of the Ob.d.L, which before and after had different names. So we worked on a small scale with great effort and in the greatest secrecy. As far as is known, it was not until 1933 that the neighbouring countries protested against this type of reconnaissance. Close co-operation with the firm of Carl Zeiss in Jena developed the best possible photographic results. In this way the required aerial cameras for the Luftwaffe and the reconnaissance group of the Ob.d.L. were also developed in co-operation with Carl Zeiss. From 1933 reconnaissance was extended predominately to the former German territories in Poland and France and the Czech border. After 1933 interest in the events in neighbouring countries did not decrease as the number of border fortifications increased. In 1934 our small unit was transferred from Kiel to Berlin-Staaken and during 1936, the number of photo-aircraft was increased to five. As well as pure reconnaissance, elements of the group also undertook training in dropping agents by parachute and so forth for the OKW/Abwehr, but remained under the control of the Luftwaffe General Staff Ic. On account of personal and close relationships with the technical departments of the RLM, the relevant industries and above all the support of the Chef Ic and the Abwehr, the leaders of this small unit had access to the latest developments in aircraft and equipment. Thanks to the help of good and passionate aircrews and first-class ground crews, a totally dedicated team was established, keen to work and ready for action at anytime and which did not permit any of its members to deviate from the task. Thus, with relatively modest resources all operations were fulfilled. There were relatively few accidents and the aircraft were mostly serviceable. In 1934 the first photo-flights over the Soviet Union began. Initially these covered the Finnish Bight, Kronstadt and Leningrad, then in the direction of Pleskau-Minsk? and eventually the Black Sea coast with Nikolayev as the target. The twin-engined aircraft used for these missions flew at an altitude of 8 - 9,000 metres. Aircraft on all flights were well prepared with several cameras with various built-in apertures in order to get as much film as quickly as possible. There were no losses of aircraft or equipment and the film material was always greatly appreciated by the client. Communication procedures by the aircraft while on their flights over neighbouring countries meant that despite intense observation the aircraft were never discovered. This small unit, consisting of one third military personnel and two-thirds civilians, functioned as the Fliegerstaffel zbV from 1934, from 1937 as Hansa Luftbild Abteilung (Dept) B and at the outbreak of war as the AufklärungsGruppe? Ob.d.L. The work of the Gruppe was finally so extensive that a Staffel of the Versuchsstelle fur Hohenflug (V.f.H) was incorporated into the Gruppe and was entrusted with numerous and varied special technical development tasks. The unit was also involved in the amalgamation of Austria and the Südetenland into the Reich. At the beginning of the war, all personnel were in uniform at Berlin-Tempelhof? ; a small number, the parachute people, were transferred to Oranienburg near Berlin as the V.f.H. All the reconnaissance personnel then formed part of the Auklärungsgruppe as the 1. (F)/Staffel, based at Werder/Havel with an additional two active (F) Staffeln, the 2. (F)/122 under Major Wenz at Prenzlau, and the 3. (F)/123 from Juterbog under the command of Oblt. Schuermeyer. A further transfer to Fritzlar near Kassel took place in December 1939. All were equipped with the Heinkel He 111 while the 1.Staffel was flying unarmed aircraft, namely Do 217 prototypes, at altitudes of 9,000 metres. At the end of January one of these aircraft at this altitude was shot down over the English Channel, and made a crash-landing on the French coast. Other reconnaissance missions over England proved the rapid build-up of radar installations on the English coast. In two months of operations by the Gruppe over England until April, five aircraft had been lost. Much to the surprise of the reconnaissance crews, British fighters appeared out of the clouds heading directly for the German aircraft.There was no doubt that by the spring of 1940 the English aircraft were being directed by radar. The French campaign cost the Gruppe two aircraft, the crews of which became prisoners of war. In the Norwegian campaign, one aircraft from the 2. (F) /Staffel was lost. After the occupation of Norway, two crews remained in Stavanger, while the 4. (F)/Staffel under Hptmn Wolff was transferred to northern Norway for Arctic Ocean reconnaissance under the tactical control of the Fliegerführer Eismeer. The Gruppe transferred from Fritzlar via Neufchateau in Belgium to Orly near Paris. The orders were to obtain seamless picture coverage of southern England from Brightongrad (sic!) to 50km north of London. This was completed by October 1940 for the cost of two losses (of aircraft). In October 1940 a direct order from the Führer to the Kommandeur directed him to obtain aerial photos of Russia, with particular emphasis on airfields. The order stipulated that this should be completed by 15 June, after which date all airfields were to checked again within a week. Once again the task was successfully completed. At the same time, in about November 1941, an order arrived from the commander of the Plovdiv/Bulgarian area for a flight by a civil machine to take the air attachן½ to a place close to the the Bulgarian Air Force general staff in order to make contact and obtain information about Bulgarian airfields and request their use for reconnaissance over Greece and Russia. In winter 1940-41 systematic reconnaissance over the Soviet border began from bases at Seerappen, Konigsberg, Cracow and Budapest. In between came a change in the many different orders received. During winter 1940-41, the Aufkl.Gr Ob.d.L. consisted of 3 F. staffeln. The Ergänzungstaffel which was under the command of Hptmn Schach of 1./Staffel, and formed the basis of the old unit, was transferred to Oranienburg, while the V.f.H. was suddenly ordered to prepare to undertake reconnaissance and agent-dropping as well as carrying the heavy weight of the development of high-altitude flying. The 2. (F)/Staffel was transferred to Orly near Paris and the 3. / to Bucharest-Baneasa. The 1. (F)/Staffel operated from Seerappen with the He 111 and covered the area of White Russia. The 2. (F)/Staffel later followed from Insterburg and covered the Baltic States and the direction of Lake Ilmen. Operating from Bucharest, the 3. (F)/Staffel covered the Black Sea and coast and as farther north as possible. The V.f.H. flew from Cracow and Budapest towards the region of Kiev and Minsk. These missions were carried out using He 111s with special high-altitude engines, as well as Do 215s, Ju 88Bs and the Ju 86P, using pressure cabins and specially adapted engines. One high-flying aircraft was lost a few days before the attack on Russia, the crew being taken prisoner, although they were liberated one day after the offensive began. In between, on the orders of the Abwehr, several night missions to drop agents by parachute were successfully carried out without loss. Additionally, on the orders of the Balkan reconnaissance command, three crews and their Do 215 operated from Plovdiv in Bulgaria from the beginning of March 1941. With this order , the Gruppe was scattered to the four winds, but at least the necessity to assign each staffel of the Gruppe to missions appropriate to its capabilities was recognised until the beginning of the Eastern offensive, when tactical control was assumed by the respective Luftflotten. At the start of the Eastern campaign the 4. (F)/Staffel of the Gruppe was using the Ju 88 for long-range reconnaissance. Only the V.f.H. In Oranienburg had specialised aircraft for particular long-range tasks such as dropping agents or sabotage weapons and equipment by parachute behind the front lines. While the F-staffeln at the front received their orders from the Luftwaffe Ic of their relevant Luftflotten, the V.f.H. obtained their orders from the Ic of the Luftwaffe general staff. Orders for agent drops came from the OKW/Abwehr. The 2.(F)/Ob.d.L. was with Luftflotte 1. The 1.(F)/Ob.d.L. was with Luftflotte Mitte. The 3.(F)/Ob.d.L. was with Luftflotte 4. The 4.(F)/Ob.d.L. was with Luftflotte Norwegen. For a time the ground and technical personnel stayed with the Gruppe, but to ensure efficient operations and direction the Luftflotten eventually took over full control of them. These personal experiences are written down without documents, but from memory nine years after the end of the war. As a result, it is not possible to be totally accurate and much has been forgotten. At the beginning of the Russian campaign the staffel was attached tactically to the Aufkl. Gr. Ob.d.L., but was then removed and functioned as a self-standing F./Staffel under the command of Luftflotte 1. At first disciplinary control was under the Gruppe, but eventually the Staffel was taken completely away from the old Gruppe. That this was accomplished successfully was thanks to the efforts and support of all personnel. Close links were, however, retained, particularly with the Gruppen technical staff. The staffelkapitן½n, Major Pritzel, regarded this as an example of how important trust and comradeship was in wartime. In fact despite everything, every officer, NCO and man in the staffel continued to regard the Aufkl.Gr.Ob.d.L. as their 'home'. The staffel began the Russian campaign with the technical staff having eight Ju 88D-1/D-4s and five Do 215s in their charge, with the same numbers of the most experienced flight crews. Organisation, movement and technical equipment of a reconnaissance staffel were all well-known beforehand. Safe flying time for a Ju 88 was about 6.5 hours; about 1,000 km range. Time for a Do 215 was 4 hours, range about 600 km. The main advantage of the Do 215 was a better climb rate and more room in the cockpit, but it was not quite so capable of defending itself. Special technical equipment: Two oblique 50/30 cameras with 30% overlap, aligned to right and left by about 15ן½ in the Ju 88. Usually orders were to obtain area pictures, for instance the entire Caucasus. A n MG131 gun was fitted in the dorsal position for increased defence instead of an MG 81. Unfortunately not all aircraft had an MG 131. Radio equipment consisted of an FuG 10 long/short wave radio, with a range of up to 1,500 km depending on weather conditions and two or three radio-direction finders. Daily mission orders arrived from the Ic of the Luftflotte, and usually involved 4-6 aircraft on average, which could be involved in up to 12 sorties per day. The main task was reconnaissance to the limit of their range. The operational area in the East extended from Kaunas-Nevel-Rzhev-Kostroma-Lake? Ladoga-White? Sea-Viborg-Ostsee? . The operational readiness of the staffel was always at a high state, with at least five aircraft always serviceable at short notice for tactical reconnaissance. Main areas of interest for reconnaissance were railways, roads, airfields, waterways and harbours which were constantly under observation. Most aerial observation analysis was based upon aerial photos, with visual observation usually only being used as an addition in the frontline areas. There were gaps in the coverage on account of the extreme altitude at which missions were carried out. In general results over the line of main resistance were obtained by overflights using 20/30 cameras, with 120 metres of film in the cassette and minimum overlap, developed specially by the V.f.H. These techniques had been especially successful, frequently obtaining completely unexpected observation results. As a general rule the entire operational area was visited twice daily by 4-7 aircraft. Occasionally there were special demands on top of that, such as the observation of Moscow to determine results or close attention to specific targets such as harbours, canals/waterways and the White Sea passage. In the case of this last-mentioned, the starting point was the airfield at Helsinki. The main base of the staffel was never far from the Luftflotte HQ, such as Insterburg, Dunaberg and Rashkopolye near Ostrov in the region of Pleskau. In order that the correct flight altitudes could be achieved without enemy interference, the staffel had to be based sufficiently far behind the front line. All crew members were expected to be familiar with the area over which they operated. To do this all crew members continuously studied the relevant maps, so that during the flight itself the mission could be flown without using maps, and crews could concentrate on their specific tasks, such as observation both of the ground and in the air. A further advantage was that the preparation time for a mission was greatly reduced. The transit flight over the front and to the target area was made at maximum altitude which allowed an almost noiseless approach as a defensive measure. Over railway lines the 20/30 cameras were used with minimum overlap. Experience taught that although the trains could not be seen by eye against the dark ground, the lines could. The cameras always gave reliable information. Normally radio silence was maintained throughout the mission as long experience by the Gruppe showed that this helped to prevent their detection by the enemy. Position reports were not necessary. Crews knew when they were approaching the front lines by evidence of battle such as gunfire. In any case, the crews had a special short-wave radio connection to the ground troops. The radio was only used in the event of enemy fighter attack, technical or weather difficulties. Crews also prepared alternative targets in the event of such situations. The return flight over the main battle area was made 'without noise' to avoid alerting the enemy. Against heavily defended targets they tried to approach at maximum altitude, in cloud or possibly with the sun at their backs. When arriving over suspected flak areas, the propellers were put into a different pitch, the engines were throttled back to give uneven revolutions and, in effect, the aircraft glided over the position. This technique caused, without exception on the whole, the flak to open fire late. Types: Rata, MiG, Yak The Rata posed no danger to a Ju 88 unless the crew was taken by surprise. MiGs? and Yaks were better without question. The basic defence was try to keep about 1,000 metres above the enemy fighter by light use of the throttle and minimal height loss to gain speed and try to find cloud cover. If it was not possible to avoid combat, opening fire at about 600 metres often caused the enemy to turn away. The keenness of the Soviet fighters was very variable, single fighters especially could be turned away by defensive fire. If the fighter could not be shaken off quickly, depending upon the experience of the crew, the best defence was to descend to low level. The greatest drawback for fighters is to get involved in a turning battle. Heavy flak was not generally a worry except for the heavily defended targets (Reval, Bologoje and Leningrad) where it was very bad, otherwise it could be ignored when the method previously described when over the target could be used. Naturally there were only a few experiences with light and medium flak as the flights were normally out of range. In the whole time noted not a single loss by the staffel due to heavy flak is known. The Soviet flak did not have radio or radar warning systems. In the northern sector during the time discussed high pressure weather prevailed. This led to the formation of contrails which were avoided by changes in altitude and propeller pitch. After landing the crew telephoned reports to the Luftflotte HQ. Important details were reported to the Ic in person. Final results of the mission were only known after examination of the photos obtained. Especially important pictures (targets, bridges, the condition of riverbanks etc) after printing, with the negatives, were taken by courier aircraft to the Ic of the Luftflotte. After re-equipping the entire staffel was transferred to the southern sector under Luftflotte 4 as an independent long-range reconnaissance staffel. Operations during the winter for the Ic Luftflotte 4 involved reconnaissance flights of up to 10 hours flying time, made possible by the attachment of external long-range fuel tanks. With the onset of spring there were occasional tactical observation missions as earlier explained under Part A, Sections 3 to 5 on the southern sector. Operational area: Crimea-Black Sea-East coast-Turkey-Tiflis-Baku-Krasnowodak-Caspian Sea-Ural river-Uralsk-Saratov-Voronezh-Belgorod Operations in the winter took place under severe weather conditions and in temperatures down to 60ן½ below zero. Operational bases: Nicolajev, Poltava, Mineralny-Wdy? and starting points for Stalingrad at Armavir and Tatsinskaya. Effective defence could be made by the MG 131 against the improved models of MiG and Yak fighters., with tactical defence as earlier noted in Part A, Section 5. On occasions Soviet fighters who were out of ammunition attempted to ram our aircraft. Five aircraft returned from operations with extensive damage after such attacks. Heavy flak up to 8,000 metres proved that fire control was now in use. Confusing the guns by changing the engine speeds was now unsuccessful; the best defence after the guns opened fire was quick and short alterations in course, height and speed. Light and medium flak in the front line and partisan areas was so effective that those areas had to be avoided. Damage to our aircraft by light and medium flak was so extensive that operational readiness was effected. During the time of this report the staffel was able to shoot down 28 Soviet aircraft, including one four-engined type and nine barrage balloons. In the beginning weather forecasting by the Luftflotte weather station was mainly unusable. The fliers had a saying: "Always 180ן½ wrong". As aircraft returned after more than 6-10 hours of flying and at the limit of their fuel, the weather conditions often changed so much that crews, using their own in-flight observations and on their own inititative, chose to land at other bases. Eventually, in co-operation with the weather station, crews began to send back regular weather reports while flying, especially while in the centre of their operational area. The staffel also contributed written weather reports to the meteorologists and this proved successful. Thereafter missions were hardly ever curtailed because of incorrect weather advice. Co-operation and trust between both air and ground crews was essential to total success. Unfortunately this was not always the case in other units. This may seem unimportant, but it has more far-reaching effects than is usually assumed. Technical difficulties on account of the weather were not a problem to properly trained crews. The protection of equipment from freezing was quite adequate. In general bad weather areas were mentioned in the flight plans. On the ground the winter of 1941-42 brought few technical problems worth mentioning, in spite of temperatures of -40ן½. With the familiarity of the crews in cold-starting and, if necessary pre-warming of the engines by the ground crews, operational readiness was always assured. The available winter clothing for the flying crews was sufficient. The electrical heating of the flight clothing was efficient, especially at great heights, but was not always necessary. Camera equipment of the long-range reconnaissance aircraft Normally 1 x 20/30, 1 x 50/30 and/or 1 x 75/30. On the ground a trained aircrew radio-operator was seconded to the ground radio station to listen to radio traffic, as he, as a member of the flightcrew, was familiar with the habits of those in the air. In bad weather another staffel radio-operator was seconded to the radio direction finder station. Furthermore, on the ground a trained observer had the task of immediately clarifying tactical radio reports by calling back in the event of misunderstandings. In an average month about two aircraft were lost on missions, the crews mostly 'missing'. It later became known that 4 crews were in Soviet captivity. With the exception of the previously mentioned support of the Aufkl.Gr. Ob.d.L., no support by other command units appeared. As the staffel was always seconded directly to the highest command levels, they had the best support and their efforts and successes were recognised. Long-distance flights of over 10 hours duration, such as Nikolajev-Baku?, Armavir-Basra? and the first-ever reconnaissance of the area beyond the Caspian Sea. A report on this was made by Luftflotte 4 to the OKW, which added this to the Wehrmacht news bulletin. Original newspaper cuttings are available, although an exact date is no longer known, it was about mid-March 1942: "1,000 missions by a long-range reconnaissance staffel: An F/Staffel under the command of Staffelkapitן½n Hauptmann Pritzl reported in the last few days its 1,000th mission. The staffel has proven itself on all battle fronts and made repeated reconnaissance missions over great distances over the sea, deep into the enemy hinterland, and achieved results of special importance. The staffel has flown over 1,300,000 km on its missions and shot down 22 enemy aircraft in combat." 1 Ritterkreuz, 10 Deutsche Kreuz in Gold and about 25 Frontflugspangen in Gold. The following also appears to be worth mentioning: With changes in command of Luftflotte 4 (in about autumn 1942) the staffel was ordered to carry bombs on their missions to be dropped on enemy territory. The modification state of the aircraft only allowed them to carry two 250 kg bombs or one 500kg bomb on external racks. The aircraft, of course, had no bombsight. This order was basically wrong, as the results equalled zero. Range, altitude and rate of climb fell off markedly. Additionally the enemy defences increased more and more in the hinterland. The losses of the staffel increased and the reconnaissance coverage had more gaps in it. The effect was a damaging spreading of effort without any relationship to the results achieved. Thus far the report of the 2.(F)/Aufkl.Gr.Ob.d.L. operations in the Eastern Front from 21/6/1941 until end November 1942. The experiences of the two other staffeln are similar to those of the 2. (F) staffel, so further elaboration is unneccessary. It is also not possible without written reports to put all these happenings into the correct chronological order. A substitute for the War Diary of the Aufkl.Gr. Ob.d.L., which can no longer be found, will only be written by questioning all the old staffelkapitן½n, officers and crews who are still reachable at this time. Most of all, in the last two years of the war, there were so many changes ordered in the F/Staffeln, that it is impossible to make a reliable report. In a short while I will make a report on the V.f.H. 2 Jun 1940 4./Aufkl.Gr. ObdL Do 215 Destroyed in the vicinity of Narvik following a combat sortie. 24 Aug 1940 Aufkl.Gr. ObdL Bf 110 Shot down by Hurricane from 151 Sqdn north of Sheppey. ltn Hofer plus two others missing. 31 Aug 1940 4./Aufkl.Gr. ObdL Do 215 G2+LH 0028 Shot down by Spitfires from 66 Sqdn over Suffolk. Fw. Maurer and Uffz. Vogel killed, Uffz. Goebbels and Uffz.Kamolz missing. 24 Nov 1940 Aufkl.Gr. ObdL Do 215 VB+KR 0057 Crashed into the sea off Kynance Cove, Cornwall.Uffz Friedrich Redmann and two crew POW one killed. 7 Jun 1942 4./Aufkl.Gr. ObdL Go 244 Crashed and burned near Fl.PL. Brunn-Wiscehan. Oblt. Herman Seebacher (F), Uffz. Johannes Selmalfuss (Bf) and Ogfr. Wilhelm Zydeck all killed. 10 Jun 1942 1./Aufkl.Gr. ObdL Ju 88D-5 430232 Possibly suffered problems at take-off. 35% damage at Smolensk. 18-20 Jun 1941 - Three He 111P transports flew the components for a radio station into Luonetjärvi airfield. 20 Jun 1941 - Two Do 215B and one He 111 flew into Luonetjärvi, located in central Finland. This Kette (or Kdo.) of 1. (F)/Ob.d.L. was commanded by Hptmn Bolle. 21 Jun 1941 - additional personnel were flown into the airfield. 22 Jun 1941 - 20 Aug 1941 - the Kette flew numerous sorties from Luonetjärvi covering the Leningrad to Murmansk railway and 'Stalin's' Canal in East Karelia. 13 Sep 1941 - By this time the Kette, and their associated equipment, had left Luonetjärvi. 21 & 22 Sep 1939 - 1F)./ObdL flew sorties over Northern France to photograph Thionville, Metz-Frescaty and Rouvres airfields. 20 Nov 1939 - In the early afternoon a Do 17F from 1(F)./ObdL (T5+LH - Lt Gerhard Rickersten) arrived over Hornchurch airfield at 1217 and was intercepted by Spitfires of No 74 Sqdn, being attacked 15 miles off Southend. The aircraft crashed 20 miles east of orfordness, there were three survivors (two were wounded). 23 Nov 1939 - Fw 200C crashed on take-off. 13 Jan 1940 - Do 17S-0 T5+FH shot down by Curtiss Hawks of GC I/4 while returning from a sortie over southern England. Lt.d.R. Theodor Rosarius and crew were captured uninjured, they were subsequently released by advancing German forces in May 1940. 19 Jan 1940 - An He 111 of 1(F)./ObdL (Wk Nr 5542 - Lt des Res Johann Fokuhl) sent to look at the Firth of Forth but was attacked by a Spitfires of 603 Sqdn 20 miles off Aberdeen, the Helll evenually crashed into the sea. 7 Mar 1940 - Three He 111Ps from 1(F)./ObdL sortied towards the Scottish coast, one of which (T5+AH - Lt Hans Froese) was intercepted by Spitfires of 603 Sqdn and shot down into the sea some 70 miles from the coast. April 1940 - Siegfried Knemeyer and Cornelius Noell both flew sorties from Stavanger in April 1940 shortly after the invasion. Aircraft types used were noted as Do 215 B-0 and B-1. 24 Apr 1940 - Stavanger airfield was attacked by RAF Blenheim bombers and a Do 215B of 1(F)./ObdL was destroyed. 27 Apr 1940 ן½ 1(F)./ObdL and 1(F)./122 sent reconnaissance sorties to the north of Aandalsnes, sighting Admiral Wells' force and identifying the carriers Ark Royal and Eagle. Glorious launched a flight of four Sea Gladiators, three from 804 Sqdn and one from 802 Sqdn, who persued the 1(F)./122 machine causing severe damage (Lt Smeaton 804 Sqdn (N2275) led the attack and Sub. Lt. Lamb reported that the Heinkel clipped the wavetops several times while making it's escape). Spring / Summer 1940 - Knemeyer also flew sea recce sorties from Stavanger in He 111 aircraft of 3./Ob.d.L. during the spring and summer of 1940. The sorties were flown to search for convoys off the coast of Northern Scotland and the Shetland Islands. May 1942 - A number of Ju 86P-2 high altitude recce aircraft of 1. (F) /Ob.d.L. were transfered to Kastelli (Crete) for operations over Egypt. These aircraft came under the control of 2(F)./123.